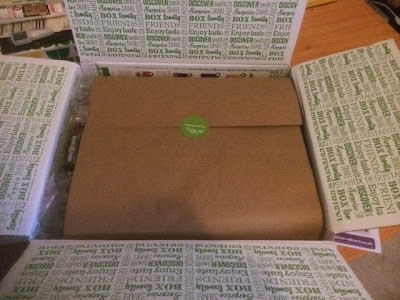 As is usual with offers of food I got a mysterious e-mail promising a box of goodies in the post from Degusta. As Cinabar was happy with hers I decided that I'd give it a try. And this appeared! Look at all those lovely things to review! Rather than break the box down in one big go I'm going to stick to what I know best. 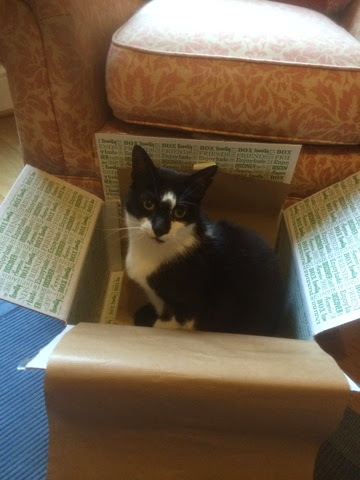 Ollie the cat reviewed the box (within seconds of being put on the floor) and said that it was 'meow'. First up we have luxury pasta. While I'm not familiar with this brand I was more than a little excited to see it in the box. Understanding that there is a difference between the cheap and expensive basic ingredients is key to making a good meal so it boded well for the things I understand less well. And here we have Cirio passata and concentrate. We reviewed this before and I have bought it since for more luxurious meals so again it was a pleasure to find. 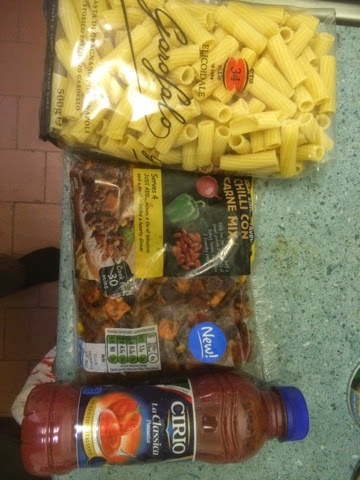 Being on familiar territory and half way towards a lovely authentic Italian meal without adding to the box I decided I'd add something I picked up from Asda recently. 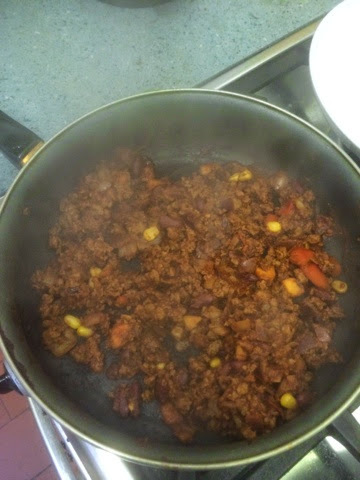 This is a bag of pre-prepared chilli-con-Carne mix, ready for the frying pan and kept in the fridge. I'd spotted this on the weekly shop and thought it'd do for a quick meal, but here we have an opportunity to really go for it. 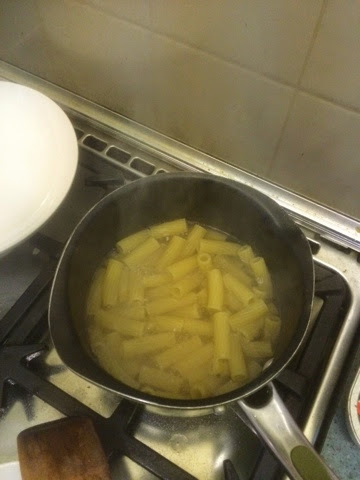 The pasta is boiled and timed so that it's properly al dente (with the feint white ring visible for the bite). 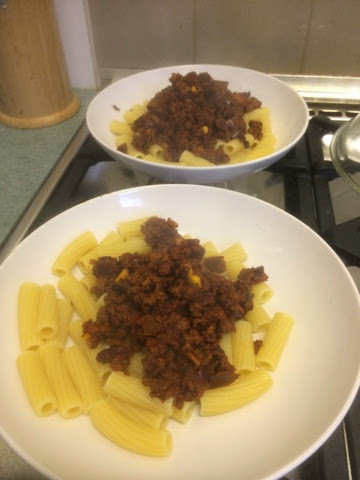 The Quorn is fried briefly before adding the passata so that it adsorbs the flavour better, then the veg mix is added as specified on the pack. I cooked it for a little less than suggested so that the veg still had more texture and to prevent the Quorn from drying out. I won't pretend I over presented it - it's a simple dish and should be treated as such. 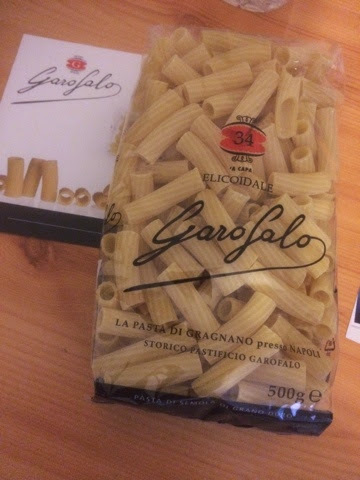 I loved the pasta and always have a bag of decent quality in the house. This was particularly fine though and formed a great base. The passata and the Quorn worked as well as expected but really elevated the quite simple veg mix that was added. Ordinarily I wouldn't have done anything more complex than adding a tinned tomato or two so this was a lesson in quick food done well. 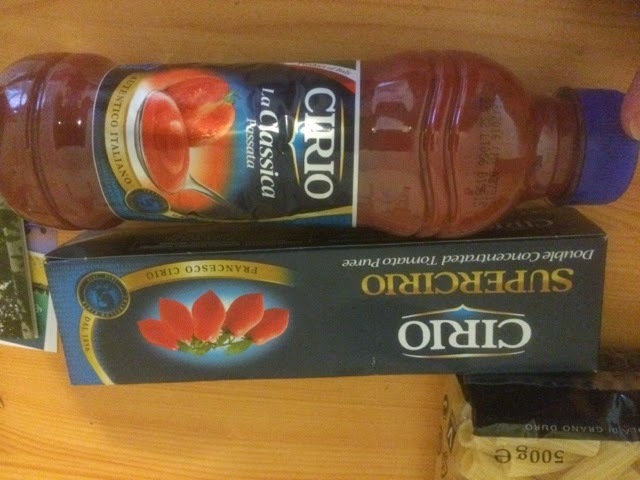 I particularly liked the plastic bottle for the passata as this meant it's easier to ration a portion as needed and it can sit in the fridge for our next Italian night. 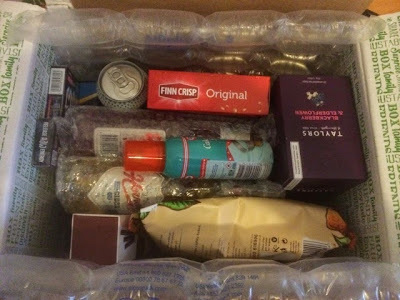 There is a lot more to eat in the degusta box (I'm eating the next review as I type this sat by the river Avon in Shakespeare's Stratford) so expect more similar things to come! And if you want to get your own box each month then go here!